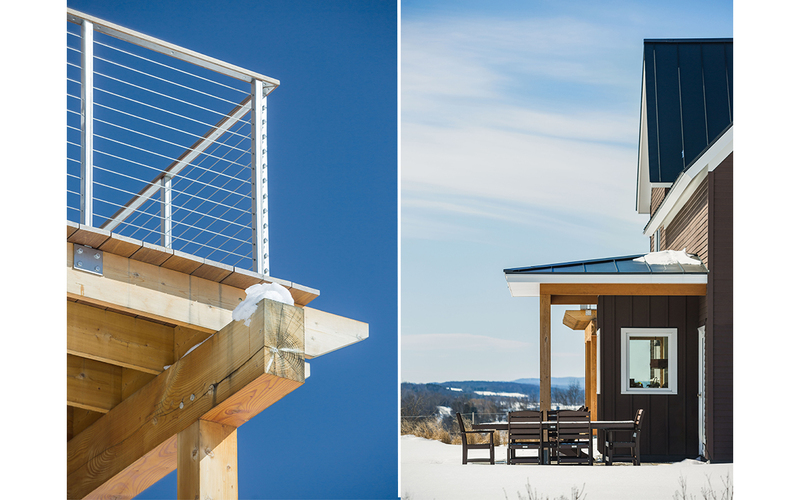 This contemporary farmhouse is perched on the side of a mountain, with spectacular views of Northern New England. 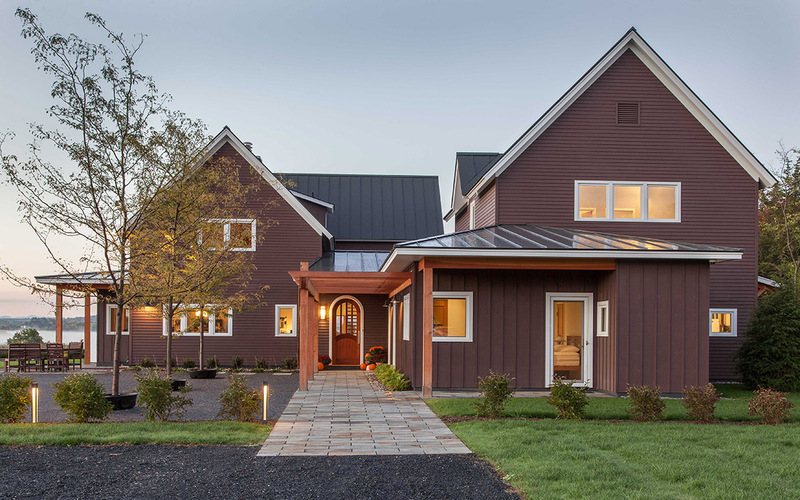 When the full buildout occurs, it will incorporate a barn and various farm animals. 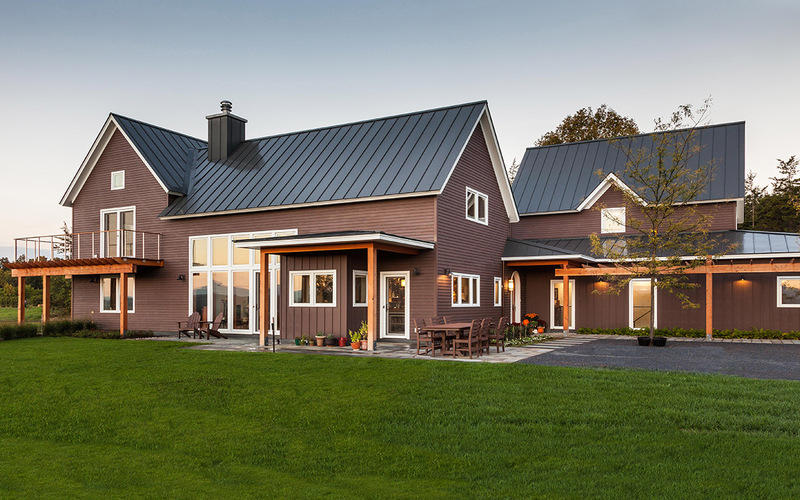 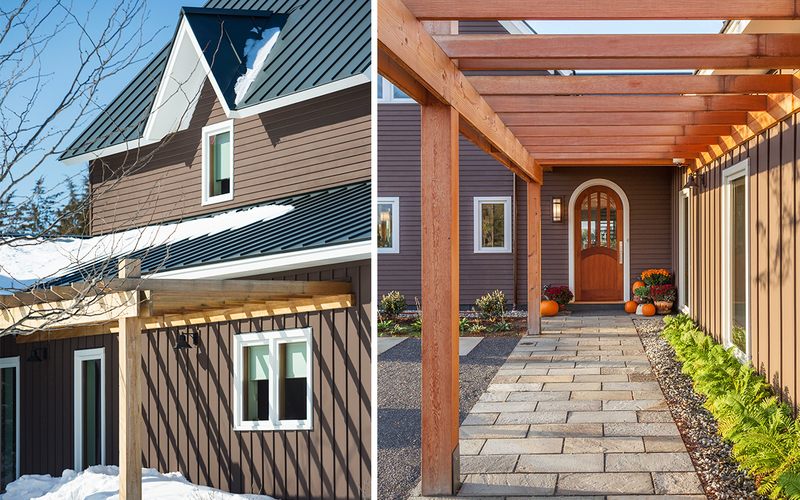 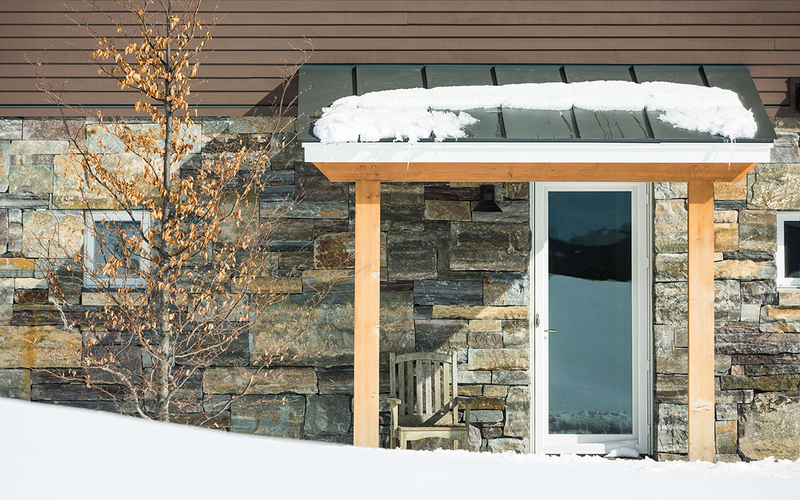 The warm colors of the siding and Douglas fir timbers harmonize with the surrounding wooded landscape.